Last week we ventured into new grounds and tested the Book Sprint method in a new environment and in quite a different genre: writing a mining policy for Burundi. Writing a policy differs from other Book Sprints in some important ways. Other than many books that have been written in other Book Sprints, a policy is short and concise, it is framed as a set of positions and recommendations, and it needs to be compliant with the national laws such as Burundi’s mining code, and international agreements such as the African Mining Vision. Holding the result – a 40-page policy. In most Book Sprints, a group of already established experts in a certain field comes together drawing from their knowledge and experience, whereas in this case representatives of several government agencies and ministries came together that are just gaining insights and experiences into new economic opportunities and the environmental and social issues that come with it. Burundi does not have industrial mining so far, and so the policy focuses mostly on artisanal mining, while creating a vision for future development as well as safeguarding against the often hazardous effects of mining. The GIZ, partner to the Burundian ministry of mining, organized a workshop prior to the Book Sprint to familiarize the government representatives with the most important subjects, headed by Moussa Sylla from the Senegalese consultancy Géo-Mines and facilitated by a team from STRATEGIES, Cameroon. 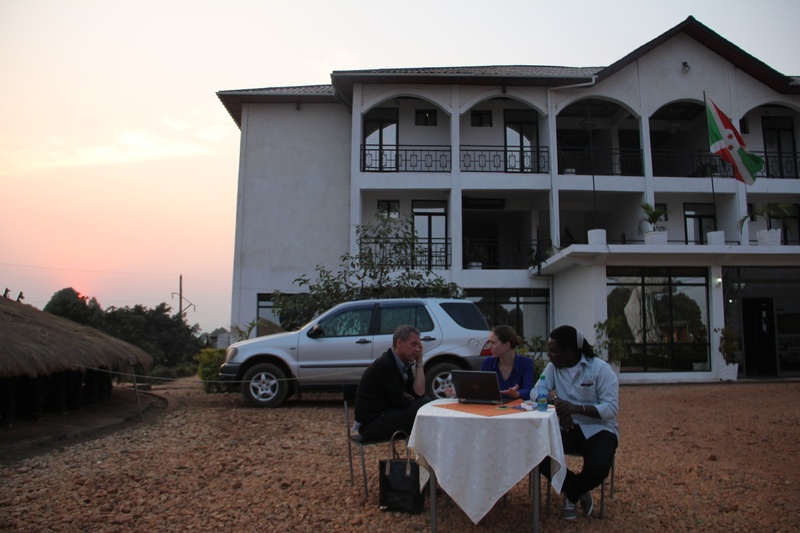 Then we followed with a three-day Book Sprint in Kayanza in the Burundian mountains. Led by Book Sprint facilitator Barbara Rühling and translator-mediator Laia Ros, a group of 18 contributors agreed on the focal points of the policy, its general vision and principles, and its structure. They then continued to write, revise, discuss, and polish the contextual information and the set of recommended actions for each of these focal points. On the third and last day, a team of one representative from the mining ministry and one external expert made the last pass at the text for consistency. 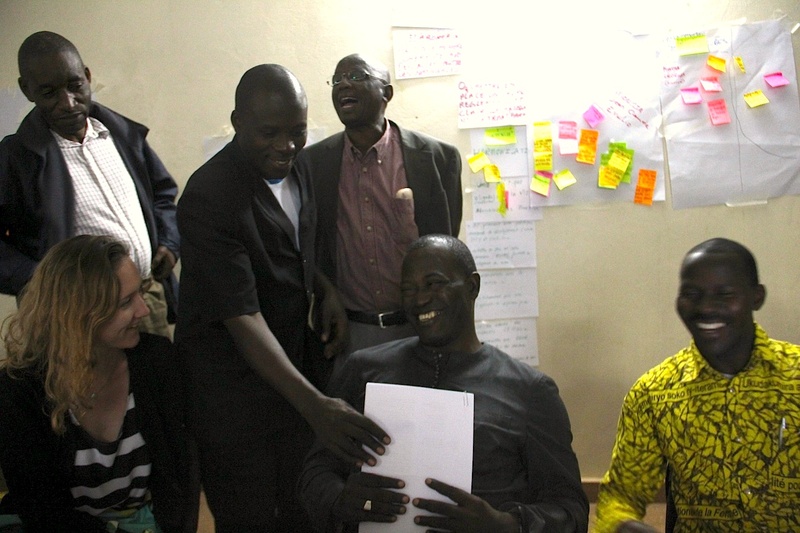 We are very happy that the process was considered a success by all participants, the hosts, and the facilitators. The policy will now be presented to the Burundian mining ministry for approval.